Welcome To Buckeye Vision Care! 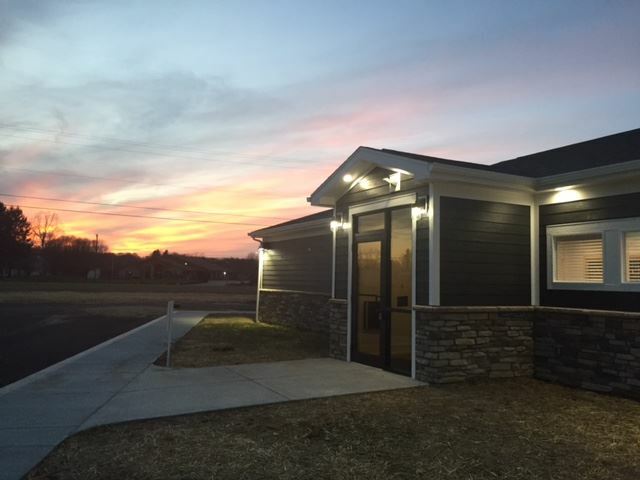 We are located in the beautiful, rolling hills of Hocking County, close to some of the Midwest’s most picturesque waterfalls and hiking. We would love to serve you! We specialize in seeing patients of all ages, from young babies to seniors, and everyone in between. Our doctors have seen every kind of eye condition imaginable, and take pride in making sure their patients are treated well and walk away seeing better than ever. 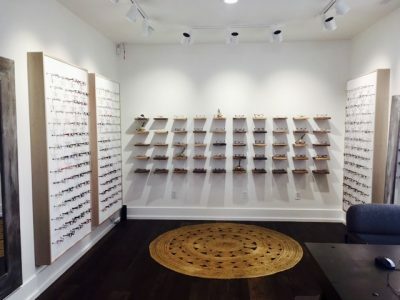 Our friendly staff is experienced, helpful and are excited to get you fitted in your next frames, contacts or sunglasses. It is our goal to give you the best, most personalized attention, no matter what your needs are. Contact Lenses – We offer the latest technology and comfort in contacts lenses including extended wear, daily disposable, speciality toric lenses, bifocal and color enhancement lenses. We provide the best lenses on the market including Acuvue, Bausch and Lomb, Cooper, and CIBA. We have options for gas permeable, high astigmatism, soft spherical, and multi-focal. Safety Glasses – Whether in the workplace, garage, or even the field, eye safety should never be overlooked. We offer both stylish and functional eyewear that includes 3m safety glasses and SVS safety glasses. Currently we only offer safety glasses for GM employees. Transitions Lenses – Our transition lenses are the perfect solution for someone looking for protection from the sun anytime they need it. The latest technology is even more responsive than before! Anti-Glare Lenses – We offer specialty anti-glare lenses, that can provide clarity against bright headlights when driving at night, or provide protection to your eyes from the harmful blue light that we encounter everyday from computer screens and mobile devices. Pediatric Eye Exams – We are a part of a public health program called InfantSEE® that gives free eye exams to children less than a year old. We begin seeing children as early as 6 months old. Senior Exams – We see many patients with age-related conditions and work directly with the finest specialists in the area. Diabetic Exams – We give special attention to our diabetic patients and our doctors give comprehensive diabetic exams, which can include same day photos and consistent monitoring. Eye Emergencies – Whether it’s from chemical exposure, lacerations, foreign items in the eye, etc., our doctors see patients with eye emergencies on short notice, as long as it has been determined that it should not be immediately seen in the hospital emergency room. Dry Eye Treatment – Our doctors are experienced in the latest technology in improving dry eye symptoms and preventing it, which includes computer-related dry eye conditions. Post Operative Cataract Surgery Care – We handle all of your post operative needs and getting your vision back to its fullest potential as soon as possible.